Cross-posted from IFPRI. April 7, 2014, Bishkek, Kyrgyzstan— A conference organized by the International Food Policy Research Institute (IFPRI) and the University of Central Asia (UCA) to be held from April 8-9 will explore how Central Asian countries can best meet the needs of present and future populations for adequate access to nutritious and safe foods and improve food and nutrition security. During the two-day event, government officials, development partners, and researchers from the region and abroad will share perspectives on agricultural and structural transformation, value chains, food safety and nutrition, agricultural markets and trade, modern input use and constraints on agricultural productivity improvements, climate change, remittances, and other emerging issues in agriculture and food security in Kyrgyzstan, Tajikistan, Uzbekistan, Kazakhstan, and the region as a whole. The conference will also unveil IFPRI’s new Central Asia Research and Capacity Strengthening Program, implemented in partnership with the Eurasian Center for Food Security at Moscow State University, the University of Central Asia, and other research institutions in the region, in collaboration with PIM and the CGIAR Research Program on Agriculture for Nutrition and Health. 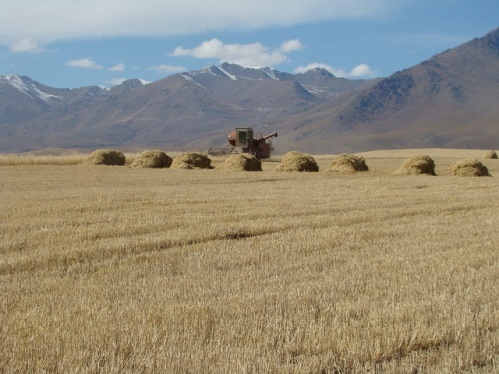 The new program will contribute to ensuring food and nutrition security, improving livelihoods, and conserving natural resources through sustainable agricultural development in Central Asia. In the last decade, Central Asia has experienced significant agricultural and economic growth as well as improvements in household welfare. However, food and nutrition insecurity persists among the most vulnerable. Stunting (low height for age) rates for children under five—a common indicator of malnutrition—remain relatively high in Central Asia, ranging from 13 percent in Kazakhstan to 39 percent in Tajikistan, according to the most recent data from UNICEF and the World Bank. The University of Central Asia (UCA) was founded in 2000 by the Presidents of Tajikistan, the Kyrgyz Republic, Kazakhstan and His Highness the Aga Khan to offer an internationally-recognized standard of higher education in Central Asia and prepare graduates to contribute leadership, ideas and innovation to the economies and communities of the region. For more information on the UCA, please visit: www.ucentralasia.org.